Three things I should have blogged about before now. February! It’s been since February. 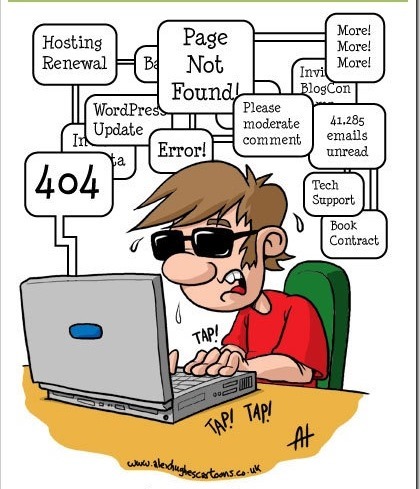 Bad, bad blogger. What happened? Well, life, you know. It does. I’d love to blog and write and get paid for it and then spend a life lecturing about Samuel Beckett. I haven’t quite got to that level of professional satisfaction yet. So I’m teaching secondary school, which I also love (No tongue in cheek, really! I’m reconciled and happy). And we entered into the phase of the year in February where one can safely say the unsavoury matter hits the wall, that phase in which we send off student work to external bodies who would be within their rights to whimsically bring all the grades down a notch, violently shattering our collective professional confidence. Thankfully that has not happened and I’ve got slightly (SLIGHTLY), just slightly more time to myself at home now. So what better way to use it than blogging? A few, I know, but I’ve done those already. So as I’m here, the world — most uncooperatively — just doesn’t stand still and wait for me to observe it pithily. It rolls on relentlessly and relentless and earth-shattering indeed have been some events in my absence from the blogosphere. I’ve picked a couple that have disturbed me and one that gladdens me. Let’s start with the former. We reach for the cliches: shocked, appalled, unspeakable, beyond words, horrific, inhuman. They don’t seem to suffice. That’s probably because we shouldn’t have any cliches about gun violence and mass shooting incidents. Yet, here we are with lessons not yet learnt. 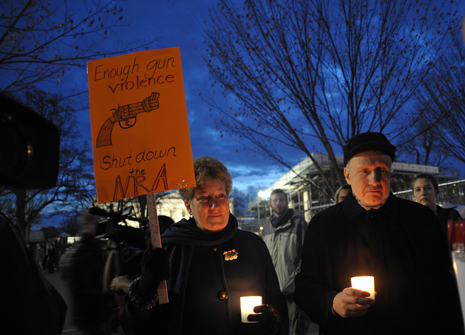 Back in July of last year, I wrote about how frightened I was for us as a nation after Aurora. Between it, Columbine, Newtown and various other mass shootings in America, you might think that we would finally collectively stand up and just slightly reconsider how we approach gun laws. That would mean those in favour of sense and peace would prevail. Alas, they did not. There are times when I feel like an alien in conversations with my own countrymen. Whenever any national convesation about gun control billows forth into the national consciousness, this alien moment takes hold. For example, I heard friends and high profile commentators suggesting there should be more armed guards in schools. The sight of armed guards in airports and possibly even in hospitals suggests reassurance. In schools, it suggests police state in which a fragile peace is bound together by bullets. The Gun Nuts Owners of America suggest that we as teachers should be armed. Um, no. We become teachers to impart knowledge and ignite the fire of imagination in young minds, not to fire loaded weapons to blow someone’s brain apart. We are the prevention, not the scorched-earth cure that would see us become deputised sheriffs in the classroom. And, not for the first time in proposing an exteme solution to gun violence in America, this ignores the real problem, that our attitude towards guns is unhealthy. Personally, I’ll take Jim Carrey’s response every time. Funny and effectively and resonantly stinging. Even funnier and scarier is the response from the Repundits uncontrollably foaming at the mouth. They don’t half lose control, do they? I fear, homeland. I really do. 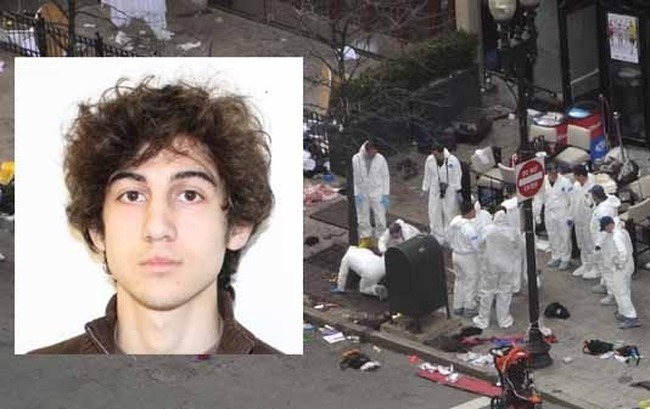 There is no doubt that Dzhokhar Tsaernaev is a murderer and that he committed an atrocity, an act of terror, the betrayal of the sacrosanct principal of respect for human life and the exploitation of fear to penetrate to our souls and to our sense of certainty in the existence of goodness in the world as opposed to an ever encroaching and all-pervading sense of menacing and violent evil. But weapons of mass destruction? Seriously? As my favo(u)rite conservative prime minister once said, ‘a crime is a crime is a crime.’ As I’m fond of saying, the devil may cite scripture for his purpose, but wrong-headed and vile though Thatcher’s criminalisation of the IRA was, it at least made some pragmatically ideological sense. The minute you confer a certain status on human scum that awards them a title higher than scum, you legitimate their authority. What are we afraid of, that Tsaernaev won’t get the death penalty? Despite my moral objections to the capital punishment, if that’s the justice you want, nail him on multiple counts of murder, an act of terrorism even. Charging him with WMD transforms him into a demonic Goblin-like figure of myth who will rise to haunt us from well beyond — for I’m sure one way or the other, we’ll kill him, we can’t help ourselves — the grave. And once again, a national conversation about the polarising, marginalising and therefore radicalising American foreign policy that fosters these ticking time bombs will be buried with Tsaernaev’s body. Make him into some looming evil dictator with great power over some lethal arsenal and he wins . Terrorism wins. It continues to set the agenda. Has this young, bitter man succeeded in continuing to rain fear on us? Yes. Terrorists: 1. American citizenry: 0. Tis said that it is bad to speak ill of the dead. Well, late the fates rain down on me because I feel obliged (not as a blogger with some inflated sense of self-importance) as a human being to dissent amidst the wave of warmth for Thatcher that’s come about not just at her death but in the past few years with all sorts of making over of the Iron Lady’s image from Gilbert and George claiming that she did a lot for the arts to Meryl Streep playing her in a biopic that I refuse to see for the same reason I refuse to pay tribute to her: she is an overglorified bulwark of tyranny that left destruction in her wake. Call me a party-pooper, but I just can’t seem to stomach a sentiment for an MP who let a fellow Minister of Parliament die on hunger strike in Belfast. Not only did she refuse to recognise the political status of Irish prisoners, which I understand many could debate, but she made light of their struggle in which ten prisoners died, claiming they were trying to demonstrate their virility. 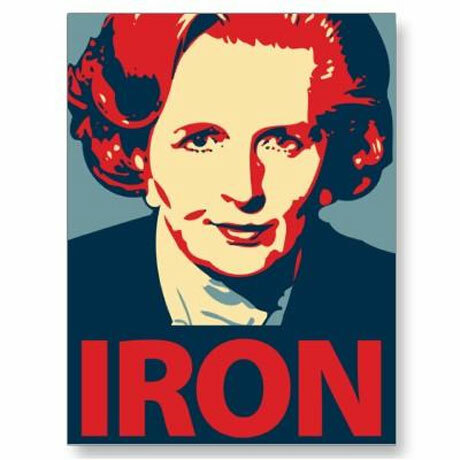 Shortly after Thatcher’s death, my mother asked me, on the phone, “Tell me, was Margaret Thatcher a…,” and here she paused to gain breath and the correct phrasing, “popular politician over there,” to which I could not help myself. I laughed. “She was divisive, Mom. Let’s put it that way.” It seemed that people in America and around the world were confused by the celebrations, the jubilant singing of “Ding Dong The Witch Is Dead.” Why was Britain trashing one of its most famous, long-standing and influential prime ministers in the wake of her death? It’s far from perfect, in fact it is ridden with as many problems as American society, but one thing that Britons seem to do well is to speak freely and, although they are good at standing on ceremony, they are individualistic and freethinking and happy enough to trounce on fictions like blind reverence as well. From the hollowed out factories in the North to the countrywide housing shortage, the sooner, the Iron Lady’s influence is shook off, the better. Well, that’s it. I’m back now or at least I intend to be. I did say I would give you pith on two disturbing events and one reassuring one. Didn’t I? Lest you think I am reassured and my heart is warmed by death (every death diminishes me. I feel bad for Thatcher’s family), I’ll end on a high. I can’t help it. 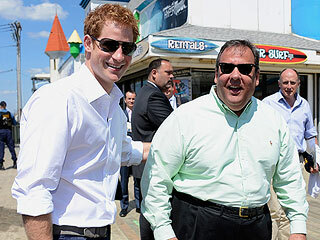 I’m a bundle of contradictions, but I find Harry to be the least repulsive member of the royal family. In fact, in weak moments, I find him downright endearing. He is, it has to be said, a frat boy in prince’s clothes and most of the time seems more comfortable in army fatigues than cricket whites, but that is probably his charm. He’s the fun brother. That and his visit to the state my birth, that under-rated storm-torn little fighter, New Jersey. Perhaps not being the next in line after Charles has done wonders for his independence and therefore he’s been free to practice that almost-of-the-people charm to perfection and he’s done some great work in the process for various charities. Thanks to my cousin Samm who did an incredible job in running Backpacks for Brick in the wake of Sandy for sharing this bit of news with me and cheers, Harry, most humbly from Jersey! I applaud your comments about Thatcher. I felt (and still feel) the same about her U. S. contemporary, Reagan, who also left a trail of atrocities in his wake. If he was unaware of the activities of the criminals in his administration, he was at best incompetent. If he was aware, he was criminally negligent. So much for being political. It’s good to see you back online. Thanks ever so much. Reagan was far worse in a lot of ways, but people give Thatcher credit for so much, like being great for women in politics, which is patently absurd. She did nothing for women. She surrounded herself with men in her cabinet and it’s not enough to say she made it to be prime minister. You have to demand more integrity from leaders no matter what gender. She did nothing except a bad precedent and a bad example. I have also abandoned my blog since earlier this year and am just now getting started again. I blame the winter blues (which I blame for all my failings both personal and professional). And as a former secondary teacher, I have no idea how you have any time at all to spare for blogging during the school year. I was a madwoman when I taught full time! One of my big fears about living in TX is having to put up with all the gun insanity and other conservative batshittery. Thankfully Austin is a little blue oasis in a sea of Texas crazy (or so I tell myself). I really don’t understand the obsession with arming oneself to the teeth, and I have to laugh when my rural Iowa relatives post status updates about how well-prepared they are thanks to their very large gun collections. I’m not exactly sure what they’re preparing for. An angry mob of dairy cows? Ha. Nice one. At one point when I was in Penn State, a set of statistics came out listing Pennsylvania as having both the highest number of hate groups and one of the lowest minority populations in the whole country. But extreme paranoia, and reaching for extreme examples like protecting yourself from the zombie apocalypse or the evil overlords of the Democrats seem to be real trademark conservative. For all that, I’m still a little jealous. All the people I’ve ever known from Austin have been really cool. And it’s a new adventure. And there’s something nice about being the only liberal in the room sometimes.